The light this morning holds the promise of spring, as it did last Sunday. But we had a week of snow and cold and I'm really ready to see some green shoots on the trees and in the soil. I miss running daily something terrible, and am anxious to get back to those rhythms that made me so happy. The winter seems to shut me down in ways, even when it's mild. And I suppose this is some animal thing in me that I ought to accept or fight or do something with, but I tend to just observe it and vaguely strain for windless days with clear blue skies. I've spent the weekend still thinking about moving, more and more certain that I should. There's something else to this and I don't know if it's a good thing to want, or a natural thing, or a silly thing altogether: But there have been people in my life that have moved through my current apartment, touched my things and known its arrangements. And there's something to wanting to live somewhere where those certain people can't picture my movements. Somehow, my routines seem secondhand because I imagine them unchanged through their eyes. And I want to force the change to break associations with how they have known me here. 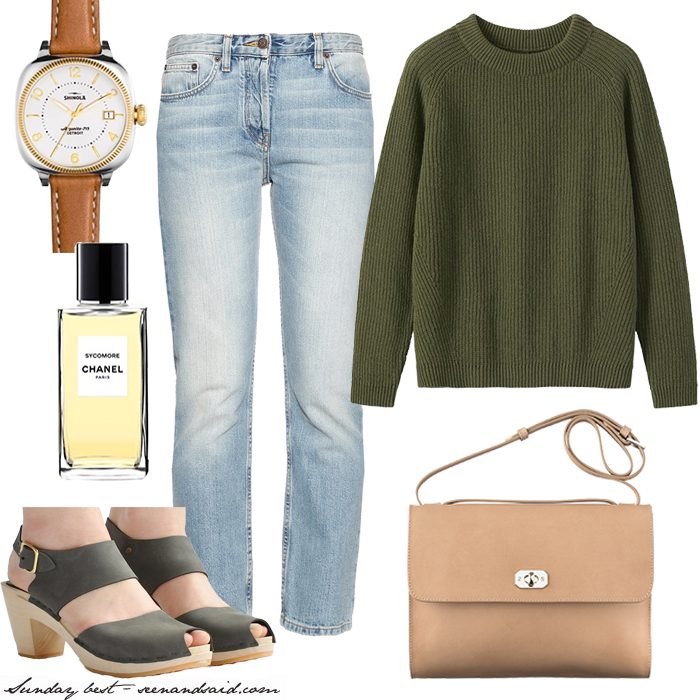 Products: The Gomelsky from Shinola | Ribbed wool sweater from Toast | The Row Ashland jeans from Matches | Sycomore from Les Exclusifs de Chanel | Miranda peep toe from Bryr | Minimal bag from A.P.C.